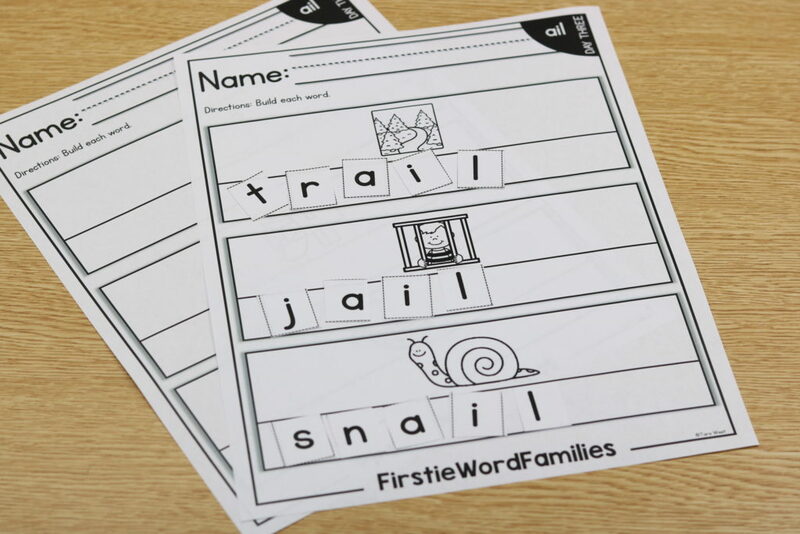 KinderWordFamilies and FirstieWordFamilies Part 2 + FREEBIES! Did you hear the FABULOUS news? Yes! 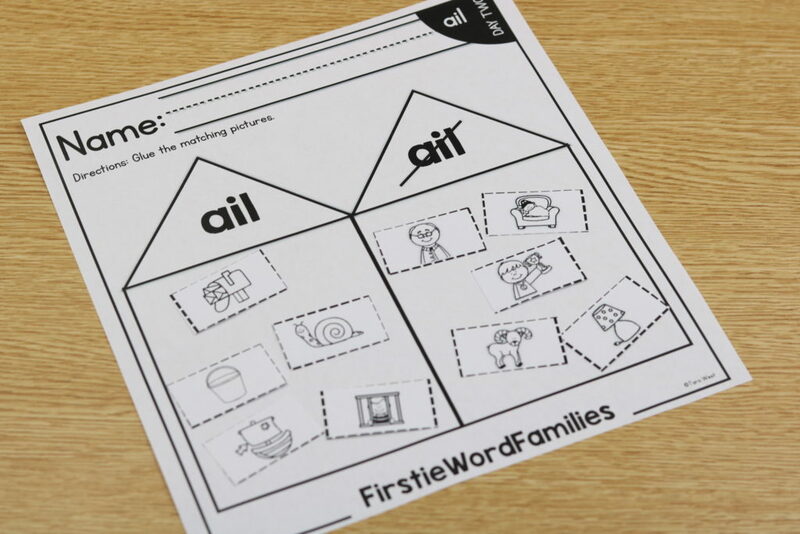 I came out with a part 2 for my KinderWordFamilies and FirstieWordFamilies! WOOT! These were requested by many so I aimed to please! 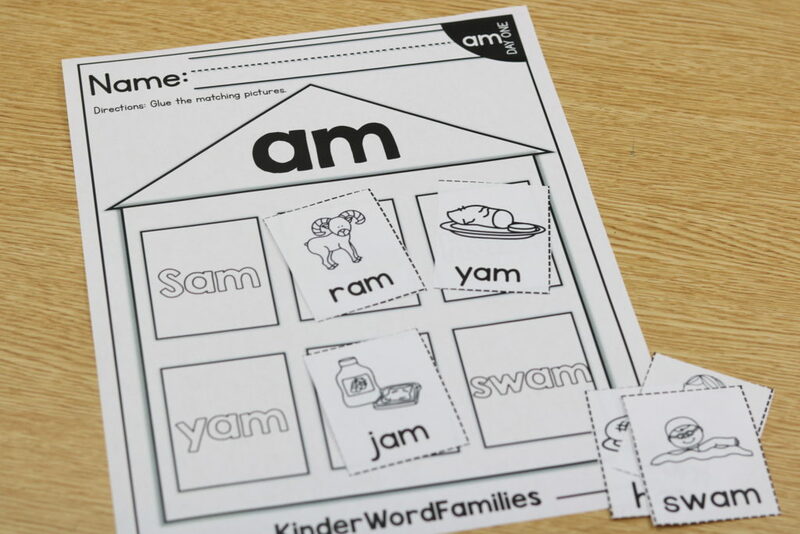 The Kinder set was pretty close so it got an update of 8 additional word families! The firstie set is loved by second grade as well so I added 20 additional weeks to part 2! If you are like WHAAAT is she is even speaking of then that means you miss part one! So, let’s take it back a notch! 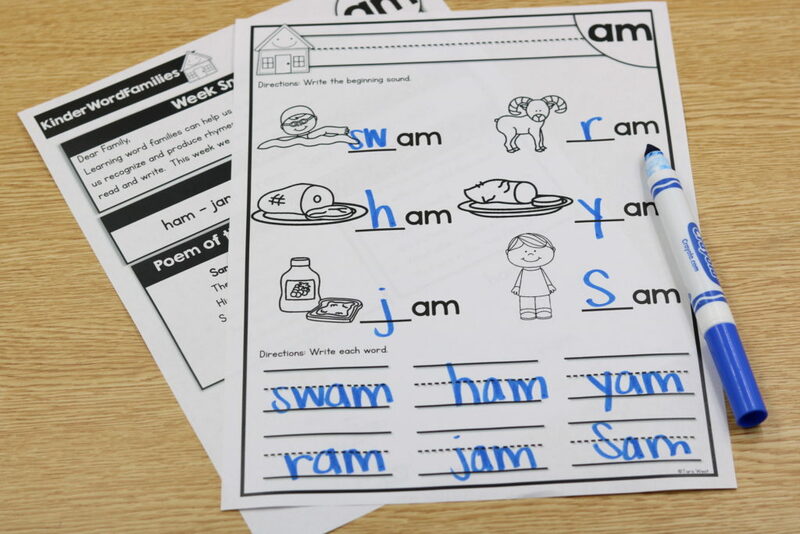 Each week you will have Monday-Friday lesson plans that follow the same systematic approach! That assists you in your teaching and planning. 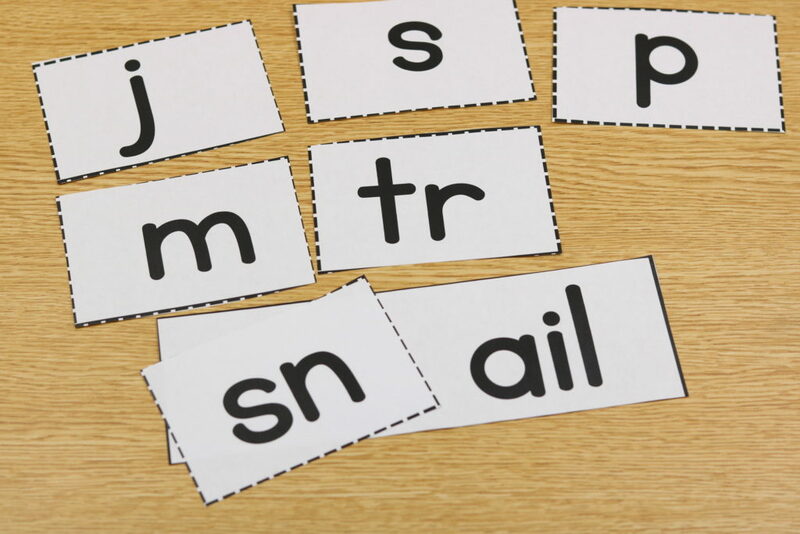 A systematic approach to phonics of course is researched based for positive results! Below I will describe the tasks for each day, Monday-Friday. Below is a look at the quick and simple assessment! 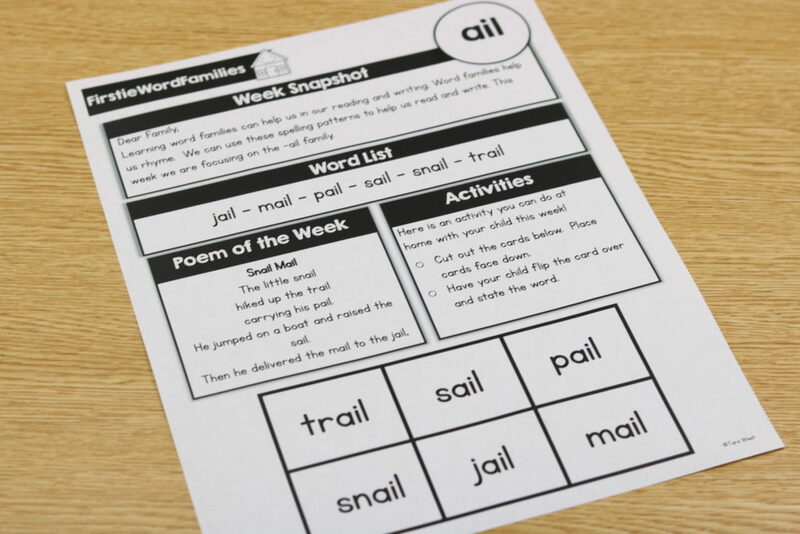 The lesson plans include assessment prompts for each word! The assessment should only be five or ten minutes max! If you choose to not take the assessments then there is still plenty for your kiddos to do on day five! Okay! 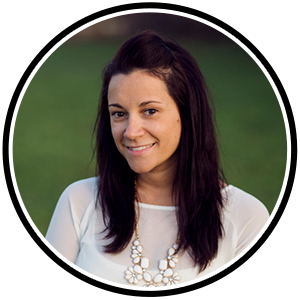 Now let’s talk about all the goodies that are included in the program! If you have purchased my programs before then you know I strive to include ALL necessary pieces to my program! The same goes for this program! One of the best things about this program is the interactive materials that are included which send the program way over on the “cool” scale. 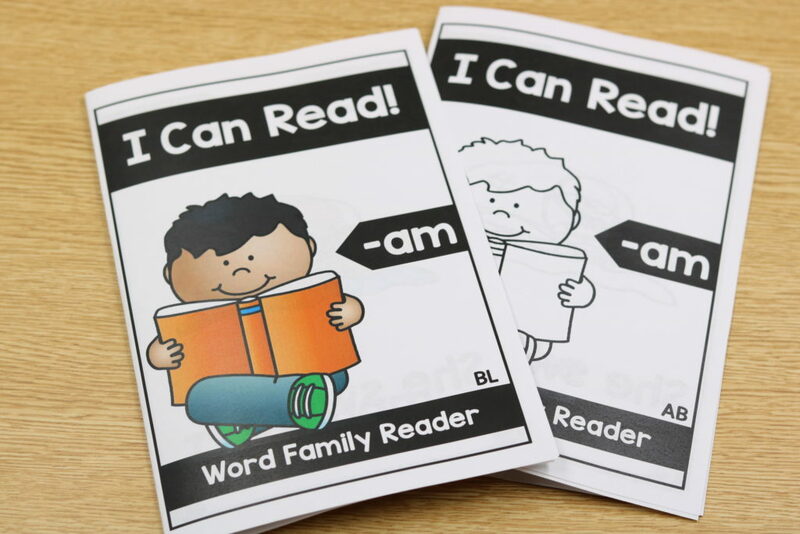 The program includes word family readers! Now a couple things about the readers! There are TWO versions of each reader include. One version is considered “on level” and there is also an advanced reader included. 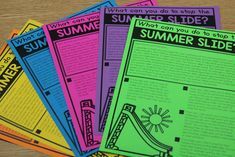 Well you ask, “What about my below readers?” Well, in the lesson plans you are encouraged to use the readers throughout the week whole group. You can use the interactive version if you have that capability! The goal is that by the end of the week…even your “lower” leveled kiddos will be able to handle the readers! There are also color and black/white versions of each reader! Also, within the program I offer a video to assist you in printing the readers with ease! View the interactive readers in action below! 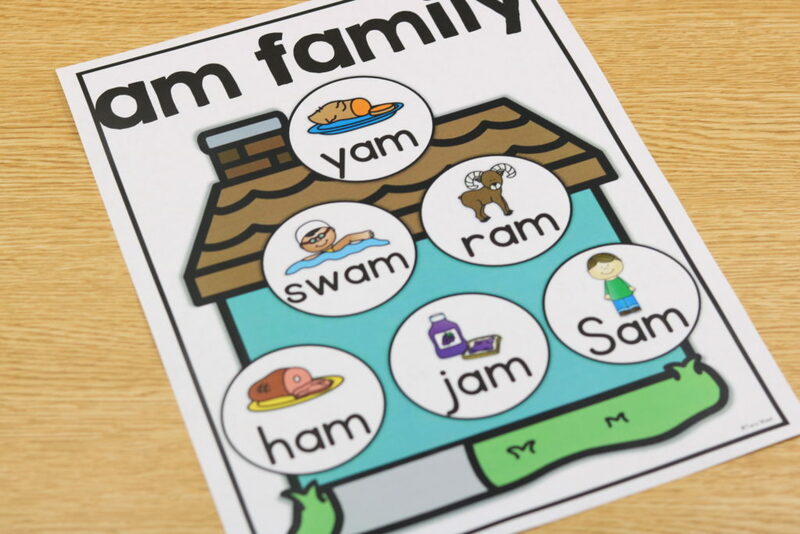 The program also includes these adorable word family classroom posters! I feel it’s important that our learning becomes part of our classroom! By displaying these posters the kiddos are excited to see all of their new learning and what they’ve accomplished! 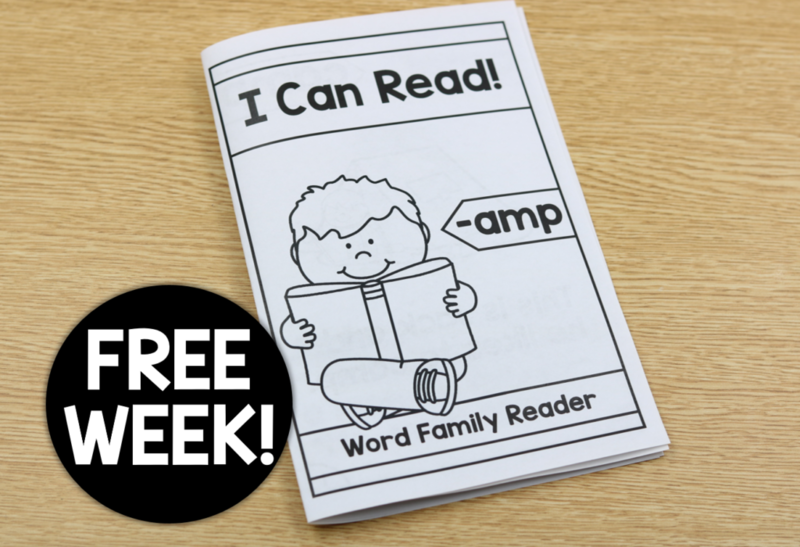 The program also contains a weekly word family poem! There are two versions of each poem included as well! If you use poetry notebooks in your classroom then you can also shrink the poems down and have the kiddos glue them into their notebooks! 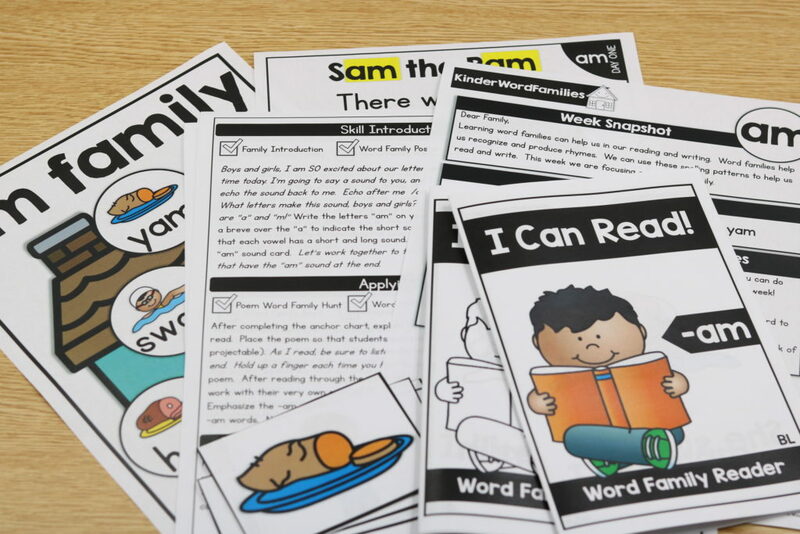 The students are asked throughout the week to sort their word family cards! I’ve included a color version for your teacher pocket chart and also a black/white version. 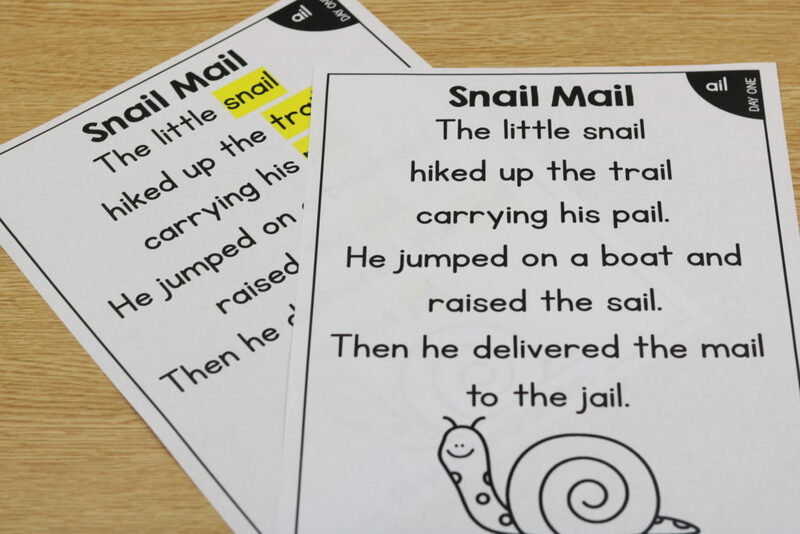 You can use the black/white version for student sets and have the kiddos use them in a partnership or place the cards into a literacy center! 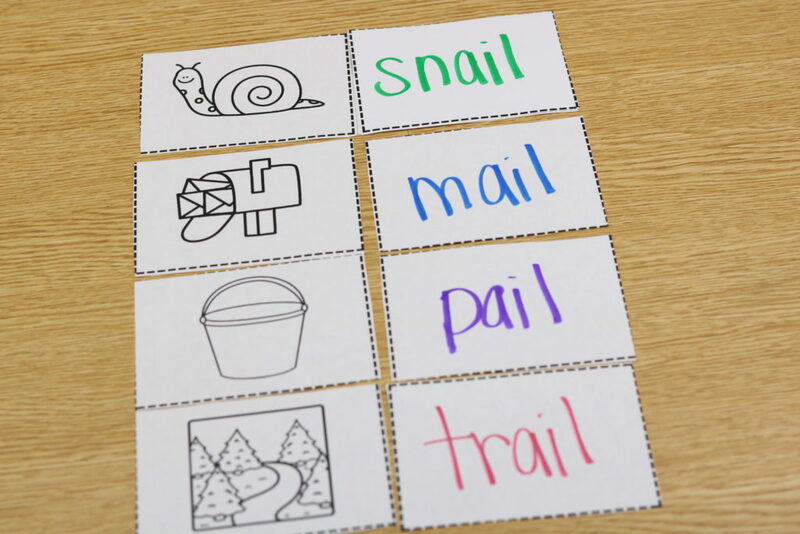 The sort cards are also great to bring back to your guided reading table! 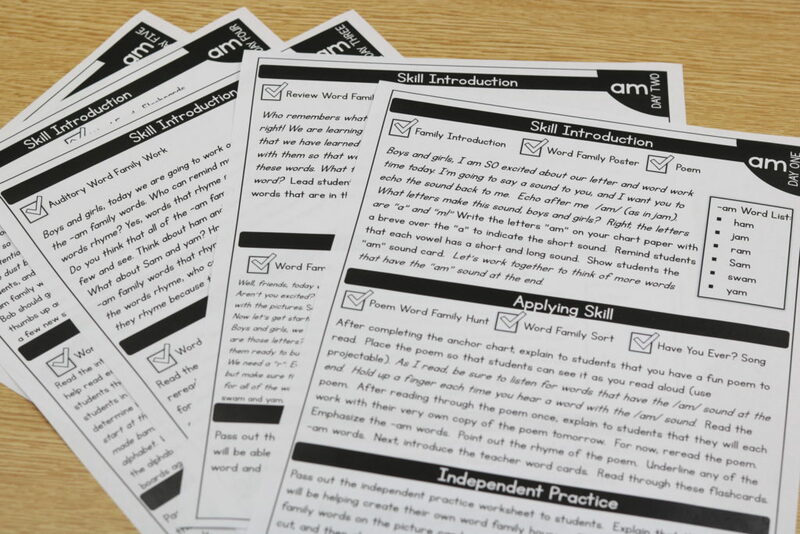 Also included in the program are daily practice sheets! Below is a look at a few of the days! 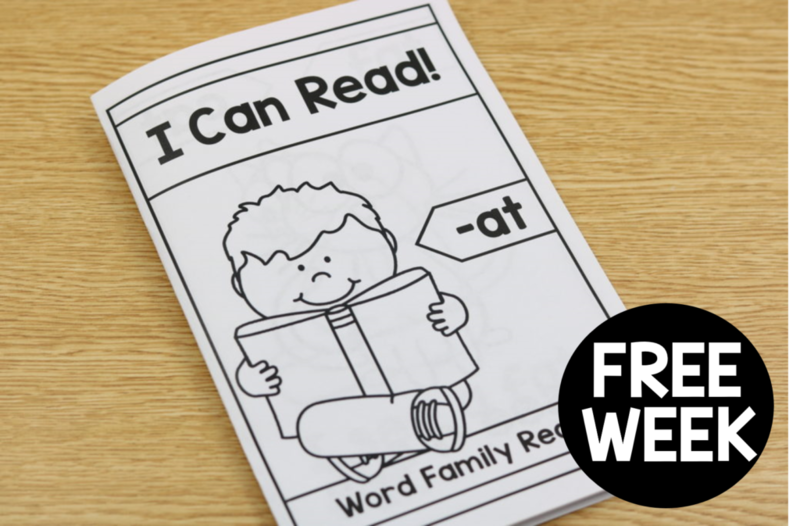 On day four the kiddos create their own word family flip book! 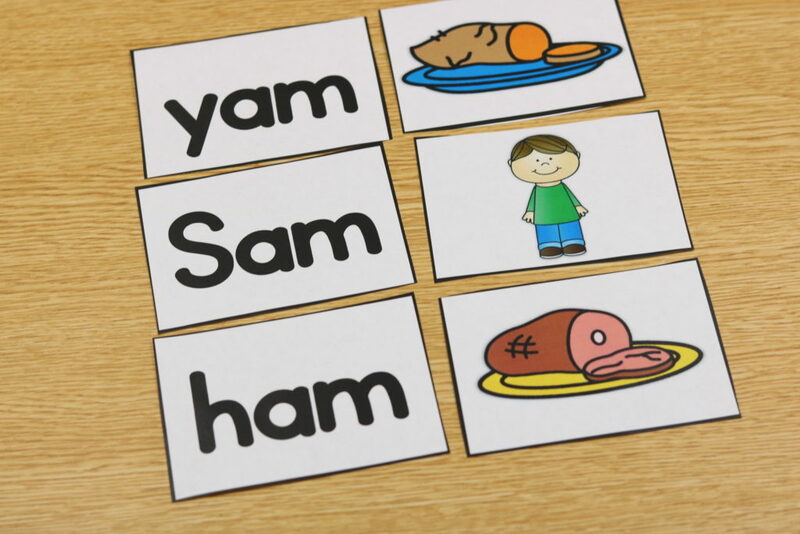 However, these cards are perfect for the kiddos to practice blending those words! The unit also contains super fun INTERACTIVE GAMES! 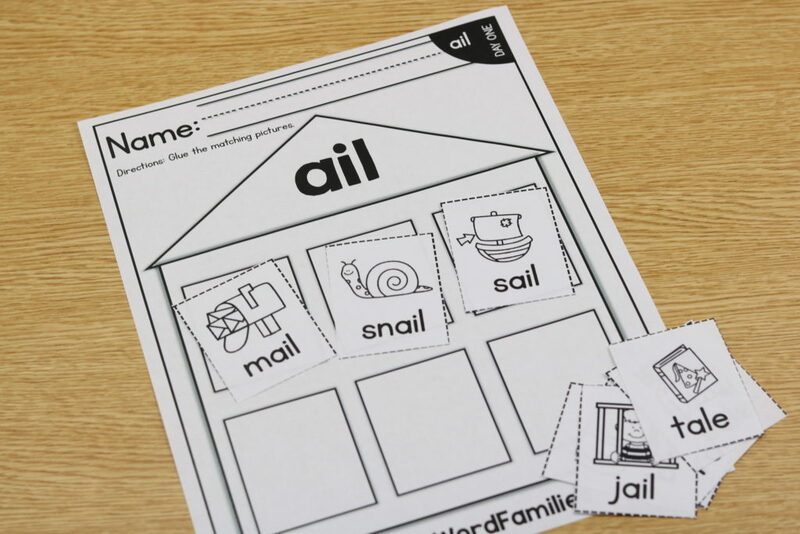 There is one game for each word families covered! Check those out below! 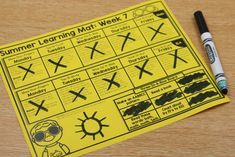 How about connecting parents to the learning? Yes, I have you covered there as well! The home connections are included within the packet! 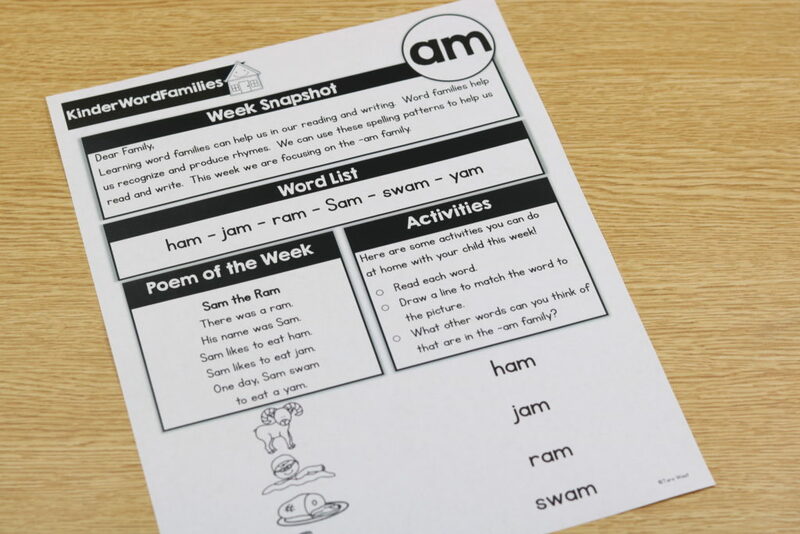 Not only do the parents get an explanation letter but there is also an included homework practice sheet! 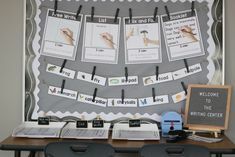 Below is a video that shows an overview of the program, the interactive readers, and the interactive games! Below is an overview of the items included in the program! 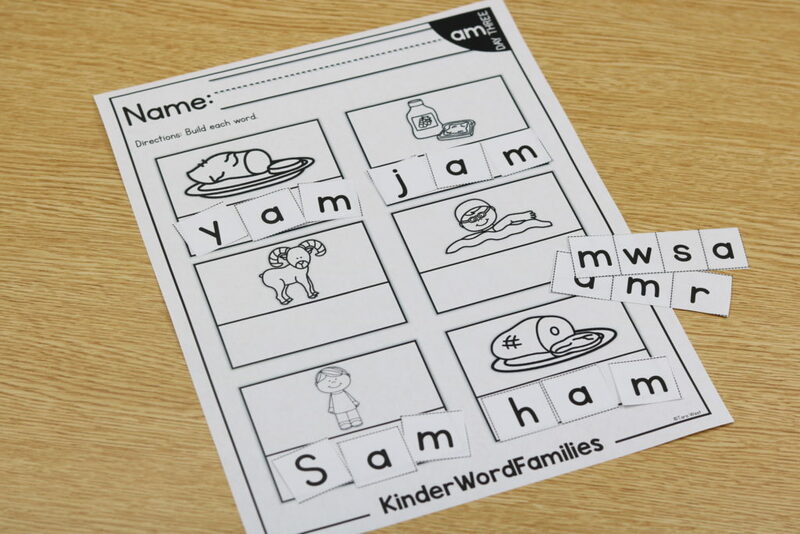 I have also been asked to remove the branding, “KinderWordFamilies,” along the bottom so that the program can be used in other grades as well! I have done that! In your download you will look for the file titled, “KinderWordFamilies UNBRANDED”. 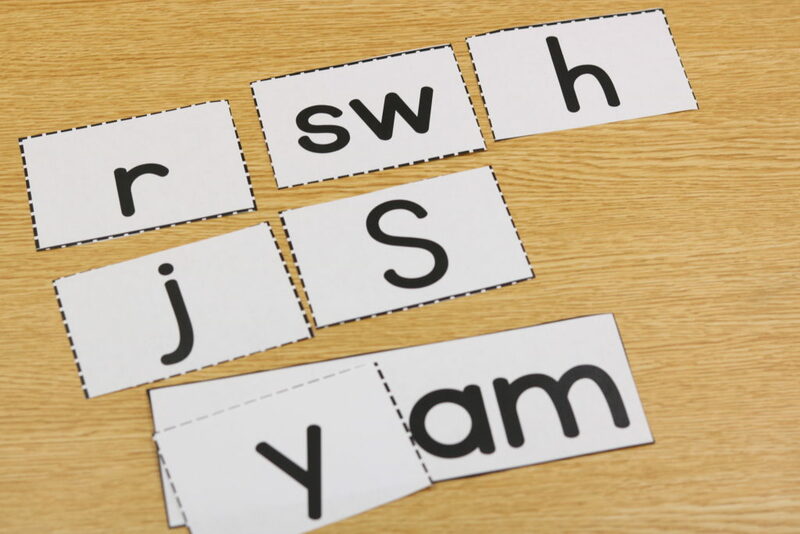 What word families are included? Now time for the FREEBIE! 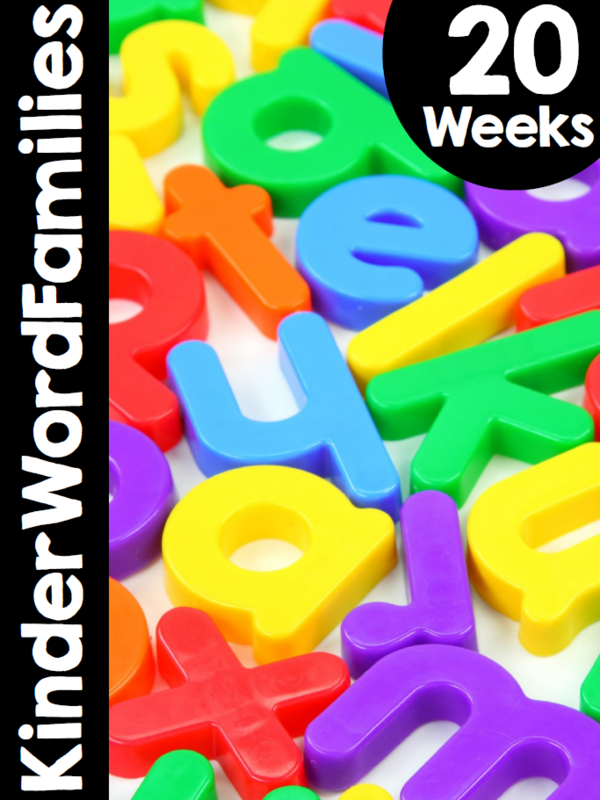 Be sure to click HERE to access the free week of KinderWordFamilies! 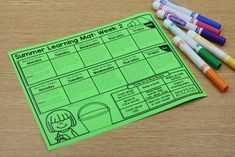 In the freebie download you will snag all of the lesson plans, worksheets, home connection, interactive game, interactive reader, and easy readers for the week! **Please note that this is a zipped file. Most likely you will not be able to download a zipped file on your phone! Be sure to bookmark the site and come back to download once on a computer 🙂 You can also download the free week by clicking on the image below! 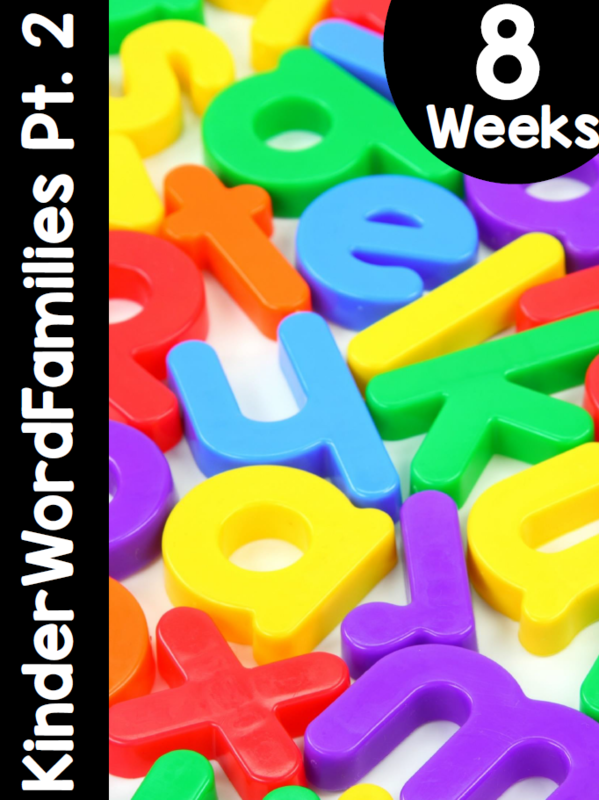 You can snag the NEW Part 2 program of KinderWordFamilies currently priced at 50% off! 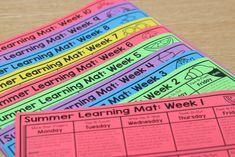 That’s $5 for 8 weeks of lesson plans, practice sheets, easy readers, 8 interactive games, and 16 interactive readers! WOOT! If you’re interested in the program be sure to snag it quick because it will go back to the full price soon! You can view the program on TPT by clicking HERE or on the image below! If you haven’t snagged Part 1 yet then you can view it by clicking HERE or on the image below! Now let’s talk a little FirstieWordFamilies! 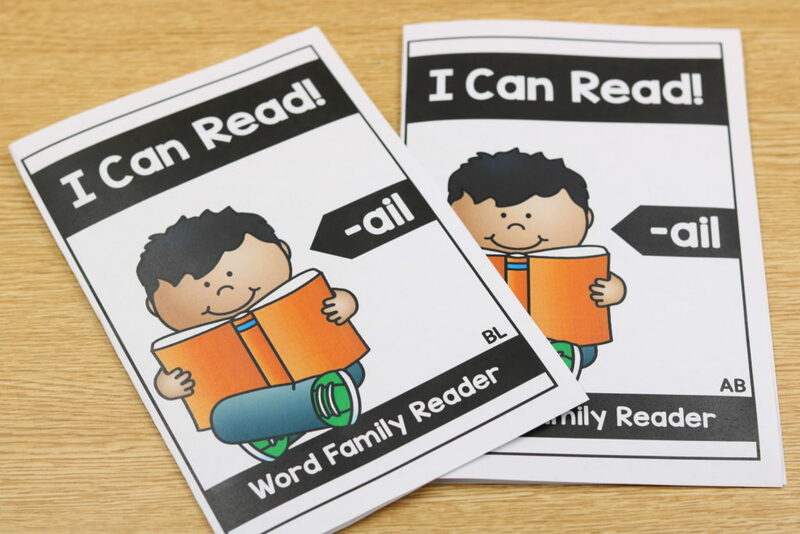 The program includes word family readers! 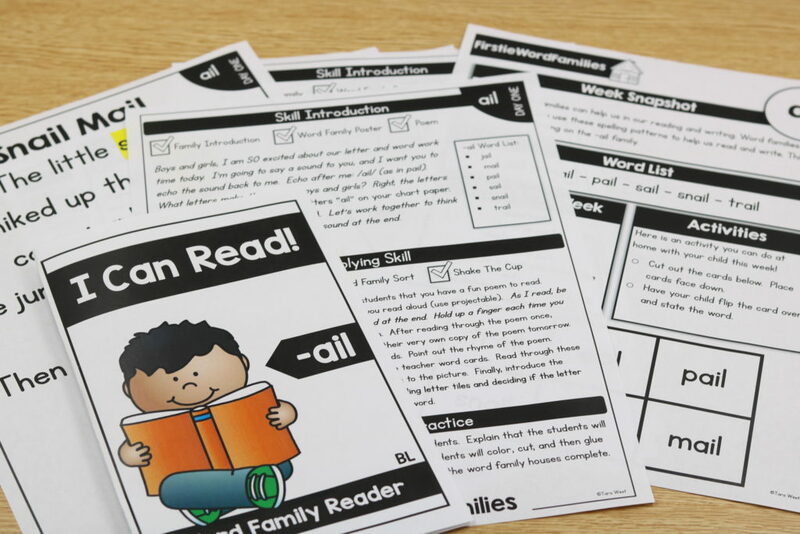 The program includes THREE versions of the readers (color, black/white, and INTERACTIVE). You can use the interactive version if you have that capability! 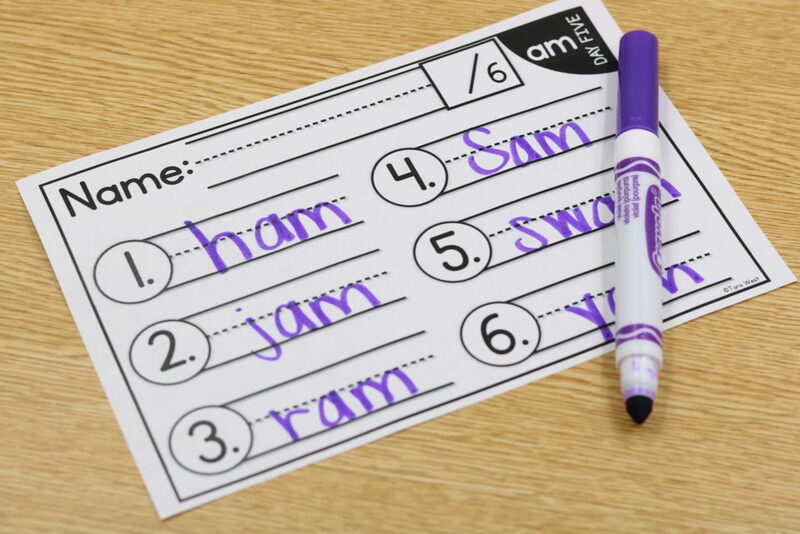 The goal is that by the end of the week…even your “lower” leveled kiddos will be able to handle the readers! Also, within the program I offer a video to assist you in printing the readers with ease! 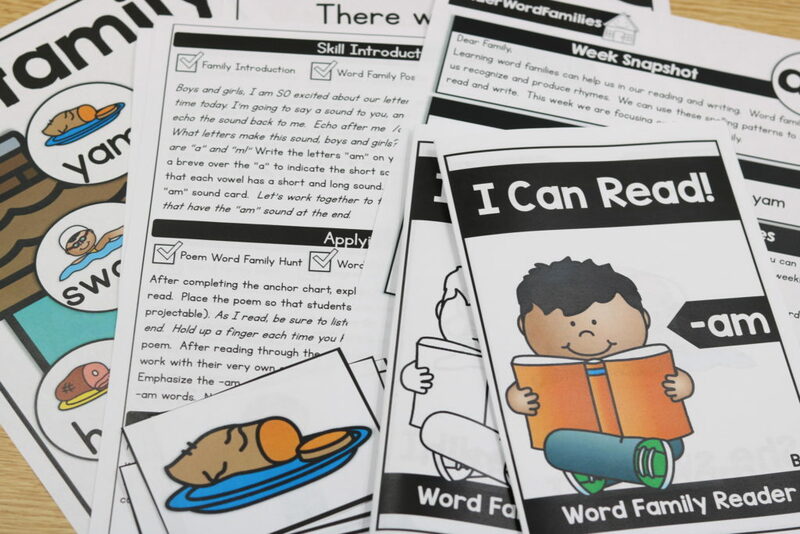 On day four the kiddos create their own word family flip book! 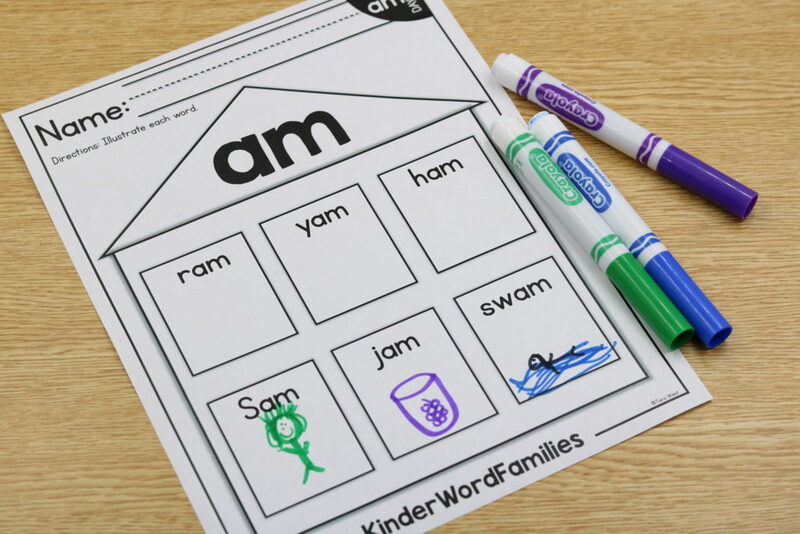 Each of the 20 weeks also contains a parent home connection piece! Below is an overview of the items included in the program! 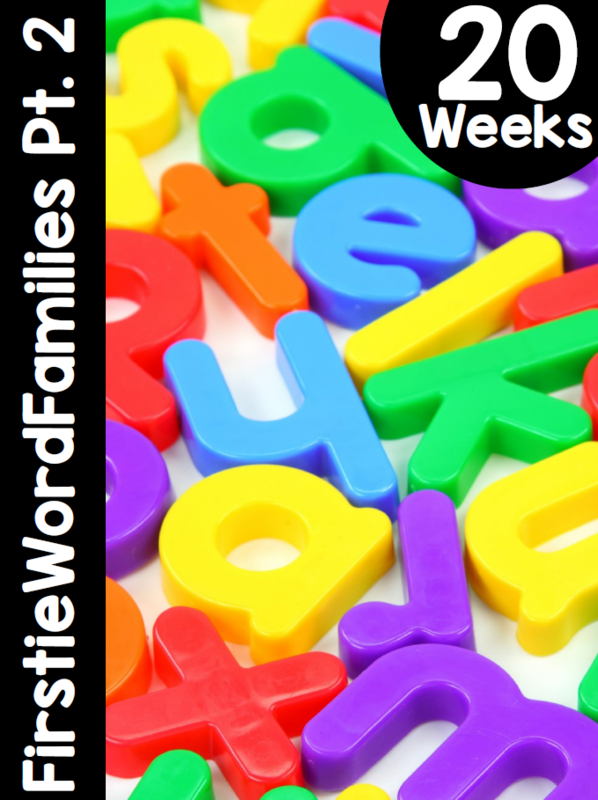 I have also been asked to remove the branding, “FirstieWordFamilies,” along the bottom so that the program can be used in other grades as well! I have done that! In your download you will look for the file titled, “FirstieWordFamilies UNBRANDED”. Now time for the FREEBIE! 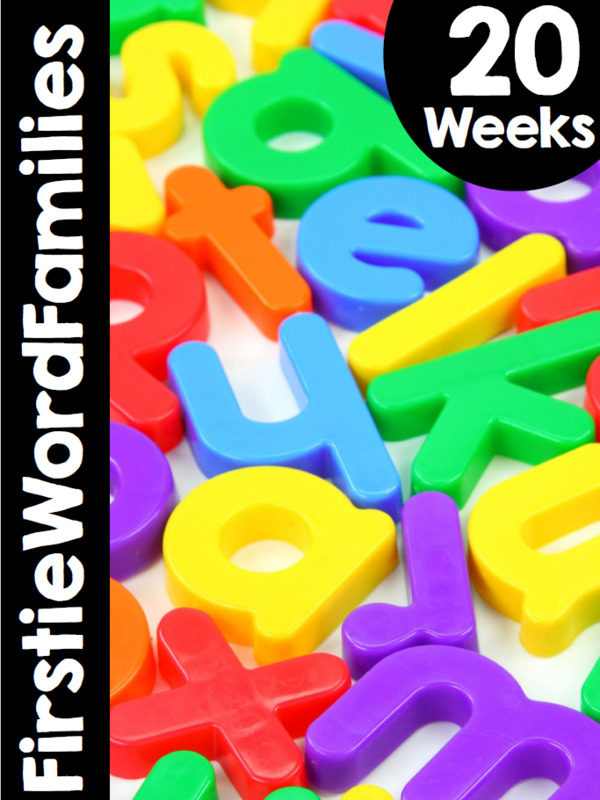 Be sure to click HERE to access the free week of FirstieWordFamilies! 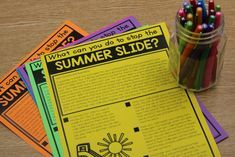 In the freebie download you will snag all of the lesson plans, worksheets, home connection, interactive game, interactive reader, and easy readers for the week! **Please note that this is a zipped file. Most likely you will not be able to download a zipped file on your phone! Be sure to bookmark the site and come back to download once on a computer 🙂 You can also download the free week by clicking on the image below! You can snag the complete PART TWO of FirstieWordFamilikes currently priced at 50% off! 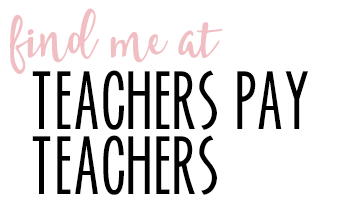 That’s $13 for 20 weeks of lesson plans, practice sheets, easy readers, 20 interactive games, and 40 interactive readers! WOOT! If you’re interested in the program be sure to snag it quick because it will go back to the $26 SOON! You can view the program on TPT by clicking HERE or on the image below! If you haven’t snagged set 1, you can check it out below! Thanks so much for stopping by and enjoy your freebies! Happy Thanksgiving…. grab some Freebies!